Former NBA star Stephon Marbury has extended and revived his career playing professional basketball in China for the past seven years. That story will now be told on the big screen in China, with the point guard playing himself in a biopic. The Chinese-language film is titled My Other Home (disappointing anyone who was hoping it would be called “Starbury”) and will follow Marbury as he goes from basketball success in the United States (he last played in the NBA with the Boston Celtics in 2008-09 season) to eventual professional and personal struggles before joining the Chinese Basketball Association. 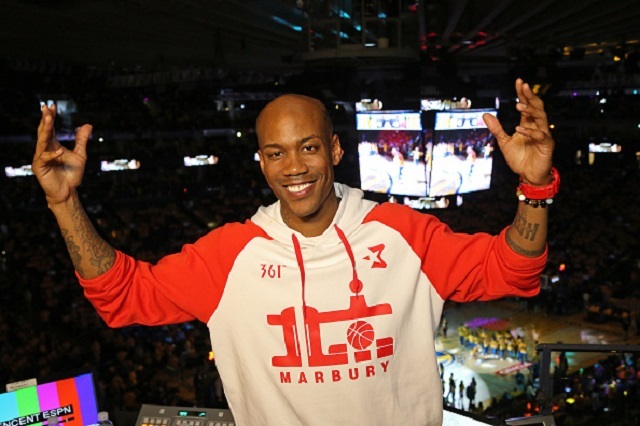 Marbury has played for three teams in the CBA, winning three league championships with the Beijing Ducks. He has also played for the Shanxi Zhongyu Brave Dragons and Foshan Dralions during his career in China. My Other Home has been shooting in Beijing, but the production will move to New York at the end of June. The project is being financed by SK Global, a joint venture between Ivanhoe Pictures and Sidney Kimmel Entertainment, and China’s Hairun Pictures. Larry Yang wrote and is directing the film. According to reports, former NBA stars Allen Iverson and Baron Davis will also appear in the film. No word on if there will be a U.S. theatrical release, or if the movie will be available through on-demand or streaming outlets.